Manlio Hedair Badaró was a Portuguese actor and comedian. James Carl Inkanish, Jr., known professionally as Jimmy Carl Black, was a drummer and vocalist for The Mothers of Invention. The Mothers of Invention were an American rock band from California. Formed in 1964, their work is marked by the use of sonic experimentation, innovative album art, and elaborate live shows. Ahmad Ali Al-Mirghani was the Head of State of Sudan from May 6, 1986, to June 30, 1989, when the democratically elected government was toppled by a military coup led by Omar al-Bashir. Charles T. "Chuck" Cross was an American career diplomat and ambassador who held many positions in American government around the world. He served as the U.S. Consul General in Hong Kong, 1974–1977, and was the second United States Ambassador to Singapore, serving from 1969 to 1972. He served as the first Director of the American Institute in Taiwan from 1979 to 1981, a position which required his retirement from the Foreign Service. In his retirement he lectured at the University of Washington in Seattle. Mike Davis was a boat builder who was a hands-on advocate for making recreational boat usage available on the Hudson River from New York City and New Jersey. Alan Robert Ford was an American competition swimmer, Olympic medalist, and former world record-holder in two events. Ford won a silver medal at the 1948 Summer Olympics in London, and was the first person to swim the 100-yard freestyle in under 50 seconds. Khertek Amyrbitovna Anchimaa-Toka was a Tuvan/Soviet politician who in 1940–44 was the Chairwoman of Little Khural of the Tuvan People's Republic, and the first non-hereditary female head of state or government. Sven Lennart Bergelin was a Swedish tennis player and coach. As a player, for AIK, Bergelin won nine Swedish championship singles titles between 1945 and 1955, and the French Open doubles title in 1948. Bergelin is best known for his work with Björn Borg, whom he trained between 1971 and 1983, helping him to win 11 Grand Slam tournaments. Bergelin also captained Sweden to its first Davis Cup title. Ian Anderson was a Scottish professional football defender who spent most of his career playing in the United States. Věra Černá was a Czech athlete. She competed in the women's shot put at the 1960 Summer Olympics. Baldev Raj Chopra was an Indian director and producer of Bollywood movies and television serials. Best known for making Hindi films like Naya Daur (1957), Sadhna (1958), Kanoon (1961), Gumrah (1963), Humraaz (1967), Awam (1987) and the TV series, Mahabharat in the late 1980s, he was awarded the Dadasaheb Phalke Award in 1998. ↑ "Actor e comediante Badaró morreu vítima de cancro". Aeiou Quiosque (in Portuguese). 1 November 2008. Archived from the original on 5 October 2011. Retrieved 3 October 2018. ↑ Lewis, Randy (6 November 2008). "Jimmy Carl Black dies at 70; original drummer in Frank Zappa's Mothers of Invention". Los Angeles Times . Retrieved 3 October 2018. ↑ "Dermot Curtis". Irish Independent . 16 November 2008. Retrieved 3 October 2018. ↑ "Breaking: David de Caires passes away". Stabroek News . 1 November 2008. Retrieved 3 October 2018. ↑ "Minister Oscar Lathlin dies at 61". CTV.ca . 3 November 2008. Retrieved 3 October 2018. ↑ Cohen, Jonathan (4 November 2008). "Detroit Rocker Nathaniel Mayer Dies At 64". Billboard . Retrieved 3 October 2018. ↑ "Deep-sea adventurer Jacques Piccard is dead". Swissinfo . 1 November 2008. Retrieved 3 October 2018. ↑ Martin, Douglas (14 November 2008). "Rosetta Reitz, Champion of Jazz Women, Dies at 84". The New York Times . Retrieved 3 October 2018. ↑ "Jack Reno". Hillbilly Music.com. Retrieved 3 October 2018. ↑ "Obituaries: Tiffany Sloan". Las Vegas Review-Journal . 6 November 2008. Archived from the original on 5 December 2008. Retrieved 3 October 2018. ↑ Concepcion, Mariel (1 November 2008). "Def Jam Exec VP Shakir Stewart Commits Suicide". Billboard. Retrieved 3 October 2018. ↑ Cartwright, Garth (17 November 2008). "Yma Sumac: Peruvian-born singer marketed in the US as an Inca princess". The Guardian . Retrieved 3 October 2018. ↑ "Chinese geneticist Tan Jiazhen dies at 100". China Daily . 1 November 2008. Retrieved 3 October 2018. ↑ Schudel, Matt (16 November 2008). "Capt. Tony Tarracino; Saloonkeeper, Mayor, Eccentric of Key West". The Washington Post . Retrieved 3 October 2018. ↑ Osman, Mohamed (5 November 2008). "Ahmed al-Mirghani Sudan's ex-president dies". San Francisco Chronicle . Retrieved 3 October 2018. 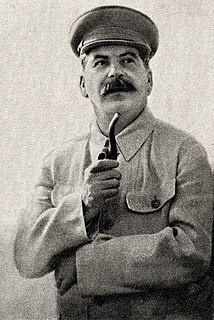 ↑ "Stalin's Grandson Dies in Moscow". Russia-InfoCentre. 3 November 2008. Retrieved 3 October 2018. ↑ Hevesi, Dennis (19 November 2008). "James W. Armsey, Ford Foundation Executive, Dies at 90". The New York Times. Retrieved 3 October 2018. ↑ "Obama's grandmother dies after battle with cancer". CNN. 4 November 2008. Retrieved 3 October 2018. ↑ "George Francis Grant (1906–2008): fly tyer, environmentalist, founder". Ecorover.blogspot.co.uk. 18 December 2008. Retrieved 3 October 2018. ↑ Martin, Douglas (7 November 2008). "Kenneth Johnson, 74, Dies; Revitalized a Dallas Paper". The New York Times. Retrieved 3 October 2018. ↑ Tuniz, Davide. "Jim Koleff passes away". Eurohockey.net. Archived from the original on 15 January 2009. Retrieved 3 October 2018. ↑ Hevesi, Dennis (5 November 2008). "Domenico Leccisi, Italian Political Figure, Dies at 88". The New York Times. Retrieved 3 October 2018. ↑ Grimes, William (13 November 2008). "Henry Loomis, Who Led Voice of America, Is Dead at 89". The New York Times. Retrieved 3 October 2018. ↑ "Jacques Lunis". Sports Reference . Retrieved 3 October 2018. ↑ "Zambia: Country Inters Mudenda". AllAfrica.com . 7 November 2008. Retrieved 3 October 2018. ↑ "Joseph Rollins, Boulder, CO". Daily Camera . 5 November 2008. Retrieved 3 October 2018. ↑ Thurber, Jon (3 November 2008). "Bill Stall dies at 71; Pulitzer-Prize winning editorial writer for The Times". Los Angeles Times. Retrieved 3 October 2018. ↑ "Terence D. Tolbert, Schools Official, Dies at 44". The New York Times. 3 November 2008. Retrieved 3 October 2018. ↑ "Rear-Admiral John Adams". The Daily Telegraph . 9 November 2008. Retrieved 3 October 2018. ↑ Green, Sara Jean (14 November 2008). "Charles T. Cross, diplomat and UW teacher". The Seattle Times . Archived from the original on 22 May 2009. Retrieved 1 February 2009. ↑ Hevesi, Dennis (8 November 2008). "Mike Davis, 68, Builder of Boats and Dreams, Dies". The New York Times. Retrieved 3 October 2018. ↑ Weber, Bruce (16 November 2008). "Alan Ford, 84, Top Freestyle Swimmer in 1940s, Dies". The New York Times. Retrieved 3 October 2018. ↑ "Posthumous tributes and attention for Jean Fournet". Netherlands Radio Philharmonic Orchestra . 7 July 2009. Archived from the original on 9 July 2009. Retrieved 3 October 2018. ↑ Yardley, William (13 November 2008). "Seattle Bids Tuba Man a Sad Goodbye". The New York Times. Retrieved 3 October 2018. ↑ "Former Gretna FC owner Brooks Mileson dies". Daily Record . 3 November 2008. Archived from the original on 10 June 2011. Retrieved 3 October 2018. ↑ "Former Chief Justice of India L. M. Sharma passes away". Bihar Times . 3 November 2008. Retrieved 3 October 2018. ↑ Grimes, William (15 November 2008). "Edward Sheehan, 78, Foreign Correspondent, Dies". The New York Times. Retrieved 3 October 2018. ↑ "Lhofei Shiozawa". Sports Reference. Retrieved 3 October 2018. ↑ Fox, Margalit (6 November 2008). "Cecil Stoughton, White House Photographer, Dies at 88". The New York Times. Retrieved 3 October 2018. ↑ Shotola, Marilyn. "S. John Trudeau (1927–2008)". The Oregon Encyclopedia . Retrieved 3 October 2018. ↑ Pearce, Jeremy (15 November 2008). "I. Bernard Weinstein, Who Studied Causes of Cancer, Dies at 78". The New York Times. Retrieved 3 October 2018. ↑ "Khertek Anchimaa-Toka: the world's first female head of state". The Times . 2 December 2008. Archived from the original on 24 May 2010. Retrieved 3 October 2018. ↑ "Lennart Bergelin dies". Independent Online . 4 November 2008. Archived from the original on 6 June 2011. Retrieved 3 October 2018. ↑ McElroy, Robert (15 November 2008). "Paddy Buckley". The Herald . Retrieved 3 October 2018. ↑ "Record Exec Jheryl Busby Has Passed Away". UrbanNetwork.com. 4 November 2008. Archived from the original on 23 December 2008. Retrieved 3 October 2018. ↑ "Décès de l'ancien sénateur Gérald Coppenrath". Tahitipresse (in French). 5 November 2008. Archived from the original on 10 November 2008. Retrieved 1 December 2008. ↑ "Best-Selling Author Michael Crichton Dies". CBS News. 5 November 2008. Retrieved 3 October 2018. ↑ "Honoring Marshall Fritz by Ron Paul". Lew Rockwell.com. 29 November 2008. Retrieved 3 October 2018. ↑ "Rosella Hightower". The Daily Telegraph. 6 November 2008. Retrieved 3 October 2018. ↑ Henry, Krista (5 November 2008). "The legend passes onSoca community mourns Byron Lee's death". Jamaica Gleaner . Retrieved 3 October 2018. ↑ Bingham, John (5 November 2008). "British First World War Veteran dies days before 90th anniversary". The Daily Telegraph. Retrieved 3 October 2018. 1 2 "Mexico City jet crash toll rises". BBC News. 5 November 2008. Retrieved 3 October 2018. ↑ "Dr. Orlando Owoh (1934–2008)". Comb & Razor.blogspot.com. 6 November 2008. Retrieved 3 October 2018. ↑ Morris, Ian (11 November 2008). "Ian Anderson 1977, 1981". MyTampaBayRowdies.blogspot.co.uk. Retrieved 3 October 2018. ↑ "Věra Černá". Sports Reference. Retrieved 3 October 2018. ↑ "Filmmaker B.R. Chopra dead". Thaindian News. 5 November 2008. Retrieved 3 October 2018. ↑ Cheney, David M. "Bishop Sofron Dmyterko". Catholic Hierarchy. Retrieved 3 October 2018. ↑ "Rear-Admiral Sir Paul Greening: former Master of the Royal Household". The Times . 20 November 2008. Archived from the original on 24 May 2010. Retrieved 3 October 2018. ↑ Fox, Margalit (11 November 2008). "Michael Higgins, an Actor Popular on New York Stages, Dies at 88". The New York Times. Retrieved 3 October 2018. ↑ "Félix Le Buhotel". Cycling Archives. Retrieved 3 October 2018. ↑ Fox, Margalit (7 November 2008). "John Leonard, 69, Cultural Critic, Dies". The New York Times. Retrieved 3 October 2018. ↑ Hayes, Jackson (7 November 2008). "Hamilton broadcasting legend Norm Marshall dies". Toronto Star . Retrieved 3 October 2018. ↑ FitzGerald, Tom (8 November 2008). "Utah State star, 7-year 49er Clark Miller: 1938–2008". San Francisco Chronicle . Retrieved 3 October 2018. ↑ Walker, Ben (3 March 2009). "Player traded for bats dies tragically". Sarasota Herald-Tribune . Retrieved 3 October 2018. ↑ McFadden, Robert D. (9 November 2008). "Ronald Davis, Health Crusader, Dies at 52". The New York Times. Retrieved 3 October 2018. ↑ "Mahmoud Haroon passes away". Dawn . 7 November 2008. Retrieved 3 October 2018. ↑ "Former police chief Hermon dies". BBC News. 7 November 2008. Retrieved 3 October 2018. ↑ Litsky, Frank (7 November 2008). "G. Larry James, Olympic Gold Medalist, Dies at 61". The New York Times. Retrieved 3 October 2018. ↑ Chan, Sewell (7 November 2008). "Philip Reed, Councilman Who Fought for Health Issues, Dies at 59". The New York Times. Retrieved 3 October 2018. ↑ "Former NFL C Wendryhoski passes away". Yahoo! Sports. 6 November 2008. Archived from the original on 4 June 2011. Retrieved 3 October 2018. ↑ Stephens, Tony (14 November 2008). "Fighting for law's golden thread". The Sydney Morning Herald . Retrieved 3 October 2018. ↑ Crane, Joseph (11 February 2009). "James Byrne". The Guardian. Retrieved 3 October 2018. ↑ Setouchi, Jakucho (19 November 2008). "Late journalist Tetsuya Chikushi entrusted commitment to war-renouncing Constitution to me..." Mainichi Shimbun . Archived from the original on 25 December 2008. Retrieved 7 December 2008. ↑ Cheney, David M. "Bishop José Bezerra Coutinho". Catholic Hierarchy. Retrieved 3 October 2018. ↑ Hanfeld, Michael (7 November 2008). "Journalist Heiko Engelkes gestorben". Frankfurter Allgemeine Zeitung (in German). Retrieved 3 October 2018. ↑ "Hedley Howarth dies at 64". ESPN Cricinfo. 8 November 2008. Retrieved 3 October 2018. ↑ "GTST-sterren reageren geschokt op overlijden Wik Jongsma". De Telegraaf (in Dutch). 8 November 2008. Archived from the original on 11 December 2008. Retrieved 3 October 2018. ↑ "Master Hidetaka Nishiyama (1928–2008)". Shotokanway.net. Archived from the original on 4 January 2009. Retrieved 8 December 2008. ↑ Feran, Tim (9 November 2008). "Cancer claims local newscaster Heather Pick". The Columbus Dispatch . Archived from the original on 20 January 2013. Retrieved 1 December 2008. ↑ Lewis, Randy (14 November 2008). "Rockabilly singer had Top 10 hit with 'Endless Sleep'". Los Angeles Times. Retrieved 3 October 2018. ↑ "Ex-Valley U.S. Rep Williams dies at 66". The Vindicator . 8 November 2008. Retrieved 3 October 2018. ↑ Hevesi, Dennis (12 November 2008). "Abraham Woods, Civil Rights Pioneer, Dies at 80". The New York Times. Retrieved 3 October 2018. ↑ "Mary Baskovich". All-American Girls Professional Baseball League . Retrieved 2019-03-29. ↑ Fox, Margalit (29 November 2008). "Richard L. Fortman, a Champion at Checkers, Dies at 93". The New York Times. Retrieved 3 October 2018. ↑ Turner, Andy (10 November 2008). "Former Coventry City defender dies, aged 35". Coventry Telegraph . Archived from the original on 28 December 2008. Retrieved 3 October 2018. ↑ McLellan, Dennis (12 November 2008). "Ex-Hollywood columnist was a bestselling author". Los Angeles Times. Retrieved 3 October 2018. ↑ Martin, Douglas (11 November 2008). "Mieczyslaw Rakowski, former Polish Communist Premier, Dies at 81". The New York Times. Retrieved 3 October 2018. ↑ Sullivan, Patricia (13 November 2008). "Florence S. Wald, 91; U.S. Hospice Pioneer". The Washington Post. Retrieved 3 October 2018. ↑ Mathieu, Frédéric. "Fernand Goux, l'un des derniers vétérans français de la Grande Guerre". Ders des ders (in French). Retrieved 3 October 2018. 1 2 3 "Indonesia executes Bali bombers". BBC News. 9 November 2008. Retrieved 3 October 2018. ↑ "Anton Huiskes". Sports Reference. Retrieved 3 October 2018. ↑ Fawthrop, Tom (12 November 2008). "General Hok Lundy: Cambodia's notorious and brutal police chief". The Guardian. Retrieved 3 October 2018. ↑ Hevesi, Dennis (14 November 2008). "Carl D. Keith, a Father of the Catalytic Converter, Dies at 88". The New York Times. Retrieved 3 October 2018. ↑ "Faculty of Medicine Executive Committee Minutes" (PDF). University of British Columbia. 17 February 2009. Archived from the original (PDF) on 16 July 2011. Retrieved 1 June 2010. ↑ "Baseball legend Preacher Roe of West Plains dies". KY3 News . 10 November 2008. Archived from the original on 15 December 2009. Retrieved 1 December 2008. ↑ Chacinski, Michal (13 November 2008). "Filmmaker Stanislaw Rozewicz dies". Variety . Retrieved 3 October 2018. ↑ Grondahl, Paul (14 November 2008). "Author, professor of Jewish literature dies". Times Union . Archived from the original on 7 January 2009. Retrieved 3 October 2018. ↑ "Renowned math wiz Ito, 93, dies". The Japan Times . 15 November 2008. Archived from the original on 21 December 2008. Retrieved 1 December 2008. ↑ Weber, Bruce (14 November 2008). "Nikola Kavaja dies - Yugoslav anti-Communist". San Francisco Chronicle . Retrieved 3 October 2018. ↑ "Li Ximing, Supporter of Tiananmen Crackdown, Dies at 82". The New York Times. 11 November 2008. Retrieved 3 October 2018. ↑ "South African icon Miriam Makeba dies". BBC News. 10 November 2008. Retrieved 3 October 2018. ↑ Hevesi, Dennis (11 November 2008). "Arthur J. Shawcross, Serial Killer in Rochester, Dies at 63". The New York Times. Retrieved 3 October 2018. ↑ Hunt, Ken (9 January 2009). "Wannes van de Velde: Musician and poet who promoted Flemish language and culture". The Independent. Archived from the original on 2 January 2011. Retrieved 3 October 2018. ↑ "Son gazi Mustafa Şekip Birgöl vefat etti". Milliyet (in Turkish). 11 November 2008. Retrieved 3 October 2018. ↑ "Doctor pioneered sports medicine". Los Angeles Times. 15 November 2008. Retrieved 3 October 2018. ↑ Krauss, Clifford (11 November 2008). "Tom Hunt, Executive in His Family's Oil Business, Dies at 85". The New York Times. Retrieved 3 October 2018. ↑ Mikula, Ján (15 November 2008). "Ľubomír Kadnár Obľúbený búrlivák". SME (in Slovak). Retrieved 3 October 2018. ↑ "Francisco Lozano". Sports Reference. Retrieved 3 October 2018. ↑ Cheney, David M. "Bishop Alessandro Maggiolini". Catholic Hierarchy. Retrieved 3 October 2018. ↑ "Passings: Mexican actress was in 'The Pearl'". Los Angeles Times. 15 November 2008. Archived from the original on 19 December 2008. Retrieved 3 October 2018. ↑ Holey, Brett (12 November 2008). "Longtime NBC Nightly News Announcer Howard Reig Dies". Mediabistro . Archived from the original on 19 November 2008. Retrieved 3 October 2018. ↑ "Lasse Sandberg död". Svenska Dagbladet (in Swedish). 12 November 2008. Retrieved 3 October 2018. ↑ Goldstein, Richard (11 November 2008). "Herb Score, 75, Indians Pitcher Derailed by Line Drive, Dies". The New York Times. Retrieved 3 October 2018. ↑ "Jack Scott". The Daily Telegraph. 13 November 2008. Retrieved 3 October 2018. ↑ Talukdar, Rakhee Roy (20 December 2012). "Calcutta's poet who was Rajasthan's voice". The Telegraph . Retrieved 3 October 2018. ↑ "Lord Dynevor: Patron of the arts in Wales". The Times. 18 December 2008. Archived from the original on 23 May 2010. Retrieved 3 October 2018. ↑ "Hall, Tim Lee, (1925–2008)". Biographical Directory of the U.S. Congress. Retrieved 3 October 2018. ↑ "Pennsylvania Lt. Gov. Knoll dies of cancer". Pittsburgh Business Times . 13 November 2008. Archived from the original on 26 May 2011. Retrieved 3 October 2018. ↑ Cheney, David M. "Bishop Vladas Michelevicius". Catholic Hierarchy. Retrieved 3 October 2018. ↑ Tomlinson, Stuart (12 November 2008). "Hendrix drummer Mitch Mitchell dies in Portland hotel room". The Oregonian . Retrieved 3 October 2018. ↑ "Margaret Moncrieff: cellist and writer". The Times. 6 December 2008. Archived from the original on 23 May 2010. Retrieved 3 October 2018. ↑ Schott, Ken (13 November 2008). "Morrison, Union women's hockey volunteer assistant coach, dies". The Daily Gazette . Retrieved 3 October 2018. ↑ "Rex Neame". ESPN Cricinfo. Retrieved 3 October 2018. ↑ "Nigg, Serge (1924–2008)". Centre de Documentation de la Musique Contemporaine. March 2015. Retrieved 3 October 2018. ↑ Pinion-Whitt, Melissa (13 November 2008). "San Bernardino man, a former Mr. America winner, dies at 77". Redlands Daily Facts . Retrieved 3 October 2018– via Google Groups. ↑ Fusco, Fabio (14 November 2008). "E' morto Marcello Fondato". Movieplayer (in Italian). Retrieved 3 October 2018. ↑ Fox, Margalit (23 November 2008). "Bette S. Garber Dies at 65; Saw the Beauty in Big Rigs". The New York Times. Retrieved 3 October 2018. ↑ "Morocco: Moroccan lower parliamentary chamber President dies at 75". Afrique en ligne.fr. 13 November 2008. Archived from the original on 18 November 2008. Retrieved 3 October 2018. ↑ "Demons mourning club legend Ian Ridley". The Age . 13 November 2008. Archived from the original on 21 May 2011. Retrieved 1 December 2008. ↑ "Distinguished Mexican Journalist and Novelist Paco Ignacio Taibo dies". Latin American Herald Tribune . Retrieved 3 October 2018. ↑ Andersen, Ingunn; Akerhaug, Lars; Opsahl, Per & Fosse, Andreas (16 November 2008). "Knut Bjørnsen er død". Verdens Gang (in Norwegian). Retrieved 3 October 2018. ↑ Cheney, David M. "Bishop Michael Ugwu Eneja". Catholic Hierarchy. Retrieved 3 October 2018. ↑ "Sir Bernard Feilden". The Daily Telegraph. 16 November 2008. Retrieved 3 October 2018. ↑ mihk2002 (22 November 2008). "Obituary: Lung Fong อำลาอาลัยดาราดาวร้าย หลงฟง". mihk2002.wordpress.com (in Thai). Retrieved 3 October 2018. ↑ Burlingame, Jon (18 November 2008). "Composer Irving Gertz dies at 93". Variety. Retrieved 3 October 2018. ↑ "Ms. Lattany, English". University of Pennsylvania Almanac. 55 (15). 9 December 2008. Retrieved 3 October 2018. ↑ Hoffman, Jascha (19 November 2008). "Dr. Adrian Kantrowitz, Cardiac Pioneer, Dies at 90". The New York Times. Retrieved 3 October 2018. ↑ "Tsvetanka Hristova Dies at 46". Standart . 15 November 2008. Archived from the original on 24 December 2008. Retrieved 3 October 2018. ↑ "Lieutenant-Colonel Robert Leith-Macgregor". The Daily Telegraph. 7 January 2009. Retrieved 3 October 2018. ↑ "Charles Le Quintrec est mort à 82 ans". Le Nouvel Observateur (in French). 25 November 2008. Archived from the original on 30 January 2013. Retrieved 3 October 2018. ↑ "Ex-Deputy Speaker PA passes away". Associated Press of Pakistan . 14 November 2008. Archived from the original on 3 March 2016. Retrieved 1 December 2008. ↑ "Former Union minister Ajit Panja passes away". IBNLive . 14 November 2008. Archived from the original on 27 July 2011. Retrieved 3 October 2018. ↑ "Glen Brand". Sports Reference. Retrieved 3 October 2018. ↑ "Matthew J. Cianciulli". Tributes.com. 15 November 2008. Retrieved 3 October 2018. ↑ Fox, Margalit (21 November 2008). "Donald Finkel, 79, Poet of Free-Ranging Styles, Is Dead". The New York Times. Retrieved 3 October 2018. ↑ "Christel Goltz". The Daily Telegraph. 1 December 2008. Retrieved 3 October 2018. ↑ Grimes, William (18 November 2008). "Grace Hartigan, 86, Abstract Painter, Dies". The New York Times. Retrieved 3 October 2018. ↑ "Dr. Louis Ormont, pioneer in group psychotherapy; 90". The Boston Globe. 26 November 2008. Retrieved 3 October 2018. ↑ "Hills End author Southall dies". Australian Broadcasting Corporation. 15 November 2008. Retrieved 3 October 2018. ↑ "Salah el-Deen Hafez". Tributes.com. Retrieved 3 October 2018. ↑ Cheney, David M. "Bishop Bruno Maldaner". Catholic Hierarchy. Retrieved 3 October 2018. ↑ Engeler, Eliane (20 November 2008). "Holocaust Survivor, Art Dealer Jan Krugier". The Washington Post. Retrieved 3 October 2018. ↑ "Rey de la cumbia Luisín Landáez murió este domingo". Radio Cooperativa (in Spanish). 16 November 2008. Retrieved 3 October 2018. ↑ Wynn, Ron. "Tony Reedus". AllMusic. Retrieved 3 October 2018. ↑ "'On the Buses' Reg dies". The Sun . 16 November 2008. Archived from the original on 25 May 2011. Retrieved 3 October 2018. ↑ "Villa Cup winner Aldis dies at 81". BBC News. 17 November 2008. Retrieved 3 October 2018. ↑ "Israeli 'mafia' boss assassinated". BBC News. 17 November 2008. Retrieved 3 October 2018. ↑ Buchanan, Grant (3 January 2009). "Professor Sir James Baddiley: Biochemist who applied his understanding of organic chemistry to problems in biology". The Independent. Retrieved 3 October 2018. ↑ Weber, Bruce (19 November 2008). "Irving Brecher, 94, Comedy-Script Writer, Is Dead". The New York Times. Retrieved 3 October 2018. ↑ "Screenwriter De Concini Dies". Contactmusic.com. 1 December 2008. Retrieved 3 October 2018. ↑ "Tributes pour in after oldest polar bear dies in Winnipeg". CBC News. 18 November 2008. Retrieved 3 October 2018. ↑ "Malcolm Dalrymple". Sports Reference. Retrieved 3 October 2018. ↑ Samuel, Henry (17 November 2008). "French MP kills mistress then himself". The Daily Telegraph. Retrieved 3 October 2018. ↑ Hevesi, Dennis (19 November 2008). "Dr. Jay Katz, 86, Dies; Explorer of Ethics Issues". The New York Times. Retrieved 3 October 2018. ↑ Price, Steven (18 November 2008). "Tafadzwa Madondo killed in motorbike accident". ESPN CricInfo. Retrieved 3 October 2018. ↑ Grimes, William (8 December 2008). "George S. Morrison, Admiral and Singer's Father, Dies at 89". The New York Times. Retrieved 3 October 2018. ↑ Weber, Bruce (17 November 2008). "Pete Newell, Basketball Coach and Innovator, Dies at 93". The New York Times. Retrieved 3 October 2018. ↑ "Guy Peellaert". The Daily Telegraph. 21 November 2008. Retrieved 3 October 2018. ↑ "Floyd Weaver leaves mark on PJC". The Paris News . 19 November 2008. Archived from the original on 23 December 2008. Retrieved 3 October 2018– via Daylife.com. ↑ Cheney, David M. "Archbishop Manuel Castro Ruiz". Catholic Hierarchy. Retrieved 3 October 2018. ↑ Grondahl, Paul (21 November 2008). "Author of genre novels dies: Chesbro, 68, created Mongo the Magnificent, many short stories". Times Union . Archived from the original on 6 January 2009. Retrieved 3 October 2018. ↑ Person, Dave (19 November 2008). "Kalsec chairman, former congressman Paul H. Todd Jr. remembered for his integrity, sincerity". Kalamazoo Gazette . Retrieved 3 October 2018. ↑ "Somali official Addo dies". BBC News. 21 November 2008. Retrieved 3 October 2018. ↑ "Veteran Theater and Dance Critic Clive Barnes Dies at 81". Broadway.com. 19 November 2008. Retrieved 3 October 2018. ↑ Grimes, William (25 November 2008). "Karl Bissinger, Portraitist, Dies at 94". The New York Times. Retrieved 3 October 2018. ↑ Finn, Robin (20 November 2008). "Carole Caldwell Graebner, Tennis Star, Dies at 65". The New York Times. Retrieved 3 October 2018. ↑ "John Michael Hayes (1919–2008)". Internet Movie Database. Retrieved 3 October 2018. ↑ "Norman McVicker". ESPN Cricinfo. Retrieved 3 October 2018. ↑ "Indian Movie Villain Nambiar Dies". Contactmusic.com. 19 November 2008. Retrieved 3 October 2018. ↑ "Die Tänzerin Edel von Rothe ist gestorben". Theater Kompass (in German). 20 November 2008. Retrieved 3 October 2018. ↑ Sergeyev, Dmitry; Akin, Melissa (20 November 2008). "Russian reformer and banker Boris Fyodorov dies". Reuters. Retrieved 3 October 2018. ↑ "Bennie M. Gonzales". Arizona Daily Star . 30 November 2008. Retrieved 3 October 2018. ↑ Hevesi, Dennis (24 November 2008). "Betty James, Who Named the Slinky Toy, Is Dead at 90". The New York Times. Retrieved 3 October 2018. ↑ "Weir Alum, Super Bowl Pioneer Bob Jeter Dies At 71". WTOV-TV . 20 November 2008. Archived from the original on 24 May 2011. Retrieved 1 December 2008. ↑ "Machulski - famous Polish actor, director passed away". Polskie Radio . 20 November 2008. Archived from the original on 15 January 2009. Retrieved 3 October 2018. ↑ Elliott, Janet (20 November 2008). "Former Texas AG Jim Mattox dies at 65". Houston Chronicle. Retrieved 3 October 2018. ↑ "June Vincent (I) (1920–2008)". Internet Movie Database. Retrieved 3 October 2018. ↑ "Augustus Barber; founded Maine's Barber Foods; at 87". The Boston Globe. 25 November 2008. Retrieved 3 October 2018. ↑ "Giacomo Bozzano". BoxRec . Retrieved 3 October 2018. ↑ "Letcher 'Watchdog' Journalist Tom Gish Dead At 82". WKYT-TV . 22 November 2008. Retrieved 3 October 2018. ↑ "Andrew Rowe: MP for Faversham and Mid Kent". The Times. 24 November 2008. Archived from the original on 23 May 2010. Retrieved 3 October 2018. ↑ "Garnet Bougoure". obits.com.au. Retrieved 3 October 2018. ↑ Harris, David (23 November 2008). "Flint rapper MC Breed dies at 37". The Flint Journal . Archived from the original on 29 June 2009. Retrieved 1 December 2008. ↑ "Alan Gordon: Co-wrote Turtles' 'Happy Together'". Los Angeles Times. 29 November 2008. Retrieved 3 October 2018. ↑ "Senior Honduran politician killed". BBC News. 23 November 2008. Retrieved 3 October 2018. ↑ Lang, Olivia; Rasheed, Zaheena (22 November 2008). "Former President Nasir Dies". Minivan News . Archived from the original on 26 January 2009. Retrieved 22 November 2008. ↑ Khan, Ismail; Perlez, Jane (22 November 2008). "Airstrike Kills Qaeda-Linked Militant in Pakistan". The New York Times. Retrieved 3 October 2018. ↑ Weber, Bruce (26 November 2008). "Sandy Ruby, 67, Helped Found Tech Hifi". The New York Times. Retrieved 3 October 2018. ↑ "Ted Wykes". ESPN CricInfo. Retrieved 3 October 2018. ↑ Cartwright, Garth (26 November 2008). "Richey Edwards". The Guardian . Retrieved 3 October 2018. ↑ Millington, Barry (25 November 2008). "Richard Hickox". The Guardian. Retrieved 3 October 2018. ↑ "Jean Markale, spécialiste de la mythologie celtique, est mort". Le Figaro (in French). 24 November 2008. Retrieved 3 October 2018. ↑ "Fred E. McAlister". Houston Chronicle. 25 November 2008. Retrieved 3 October 2018– via Legacy.com. ↑ "Mihail Velsvebel". Sports Reference. Retrieved 3 October 2018. ↑ "Charlotte Armstrong". All-American Girls Professional Baseball League . Retrieved 2019-03-29. ↑ "Tom Burgess". London Sports Hall of Fame. Retrieved 3 October 2018. ↑ Heller, Steven (28 November 2008). "Frank Cieciorka, Designer for the Left, Is Dead at 69". The New York Times. Retrieved 3 October 2018. ↑ "Francis C. Grevemberg, Gambling Foe, Is Dead at 94". The New York Times. Associated Press. 26 November 2008. Retrieved 3 October 2018. ↑ "Longtime NHL player, coach Bep Guidolin dies". CBC Sports. 27 November 2008. Retrieved 3 October 2018. ↑ "Platinum Blonde bassist Kenny MacLean dies". CBC News. 25 November 2008. Archived from the original on 22 December 2008. Retrieved 3 October 2018. ↑ "B.C. Senator Ray Perrault dies of Parkinson's at age 82". CBC News. 24 November 2008. Retrieved 3 October 2018. ↑ "Air Vice-Marshal John Powell". The Daily Telegraph. 2 December 2008. Retrieved 3 October 2018. ↑ von Zeppelin, Cristina (25 November 2008). "German Billionaire Stefan Schorghuber, 47, Dies". Forbes. Retrieved 3 October 2018. ↑ "Professor Emeritus John Stallings of the UC Berkeley Mathematics Department has died". Department of Mathematics, University of California, Berkeley. December 2008. Archived from the original on 28 December 2008. Retrieved 5 December 2008. ↑ "Cecil H. Underwood, Record-Setting Governor by Age, Dies at 86". The New York Times. 28 November 2008. Retrieved 3 October 2018. ↑ Sullivan, Patricia (6 December 2008). "William Dowd, 86; Crafted Harpsichords The Old-Fashioned Way". The Washington Post. Retrieved 3 October 2018. ↑ O'Connor, J. J.; Robertson, E. F. (September 2001). "Beno Eckmann". School of Mathematics and Statistics, University of St Andrews . Retrieved 3 October 2018. ↑ Sullivan, Patricia (23 December 2008). "Capt. Ruth A. Erickson, 95; Leader of Navy Nurse Corps". The Washington Post. Retrieved 3 October 2018. ↑ Grimes, William (1 December 2008). "H. N. Friedlaender, Bibliophile, Dies at 95". The New York Times. Retrieved 3 October 2018. ↑ "'Miracle Worker' Playwright Dies". Artsbeat, New York Times Blog. 27 November 2008. Retrieved 3 October 2018. ↑ Killick-Kendrick, R.; Richards, Harry (23 February 2009). "Len Goodwin". The Guardian. Retrieved 3 October 2018. ↑ "Randall Pennington Gumpert". Lebanon Daily News . 27 November 2008. Retrieved 3 October 2018– via Legacy.com. ↑ "Airmen bid farewell to two Doolittle Raiders". U.S. Air Force. 12 December 2012. Archived from the original on 12 December 2012. Retrieved 3 October 2018. ↑ Dinneen, Martin (26 November 2008). "Tributes paid to George Keegan". The Herald. Retrieved 28 September 2018. ↑ Pyrah, Lauren (4 December 2008). "Guitar legend at funeral of drummer". The Northern Echo . Retrieved 3 October 2018. ↑ Reed, Ron (27 November 2008). "Richmond loses one of the toughest players in Max Oppy". Herald Sun . Archived from the original on 6 January 2009. Retrieved 3 October 2018. ↑ Brotherstone, Terry (11 December 2008). "Brian Pearce". The Guardian. Retrieved 3 October 2018. ↑ "Organist Dudley Savage dies at 88". BBC News. 25 November 2008. Retrieved 3 October 2018. ↑ Weber, Bruce (25 November 2008). "He Relit Broadway: Gerald Schoenfeld Dies at 84". The New York Times. Retrieved 3 October 2018. ↑ "Louis R. Blake, was hockey star for Buffalo Bisons". The Buffalo News . 29 November 2008. Archived from the original on 2 December 2008. Retrieved 3 October 2018. ↑ Roxborough, Scott (27 November 2008). "German TV producer dies in Mumbai". The Hollywood Reporter. Archived from the original on 1 December 2008. Retrieved 3 October 2018. 1 2 3 4 5 "Mumbai victims from all walks of life". BBC News. 1 December 2008. Retrieved 3 October 2018. ↑ "Le producteur Christian Fechner est mort". Le Parisien (in French). 26 November 2008. Retrieved 3 October 2018. ↑ "French lingerie mogul, hubby killed in Mumbai attacks". The Times of India . 29 November 2008. Archived from the original on 3 December 2008. Retrieved 3 October 2018. ↑ Lavie, Mark (1 December 2008). "Orphan of slain rabbi in Mumbai lands in Israel". Yahoo! News. Archived from the original on 4 December 2008. Retrieved 3 October 2018. 1 2 "Terrorist target Mumbai in the worst attack thus far". NewsLine 365. November 2008. Archived from the original on 16 December 2008. Retrieved 1 December 2008. ↑ Schwirtz, Michael (26 November 2008). "Mayor Killed in North Ossetia Capital". The New York Times. Retrieved 3 October 2018. ↑ "ATS Chief Hemant Karkare Killed". IBNLive. 27 November 2008. Archived from the original on 20 December 2008. Retrieved 3 October 2018. ↑ "Andreas Liveras: Entrepreneur who amassed an estimated £300 million fortune". The Daily Telegraph. 30 November 2008. Retrieved 3 October 2018. ↑ "World's oldest person dies at age 115". Chicago Tribune . 26 November 2008. Archived from the original on 29 December 2008. Retrieved 3 October 2018. ↑ Lynden-Bell, Donald (5 March 2009). "Professor Edwin Salpeter: Seminal astrophysicist who made pivotal contributions to the study of the universe". The Independent. Retrieved 3 October 2018. ↑ Heldman, Breanne L. (8 December 2008). "'Antwone Fisher' Actor Commits Suicide". E! News . Retrieved 3 October 2018. ↑ Barboza, David (26 November 2008). "Police Officers' Killer, Hero to Some Chinese, Is Executed". The New York Times. Retrieved 3 October 2018. ↑ "Adi Da dies". Fiji Times . 30 November 2008. Archived from the original on 4 December 2008. Retrieved 3 October 2018. ↑ Schudel, Matt (30 November 2008). "Rev. George Docherty; Urged 'Under God' in Pledge". The Washington Post. Retrieved 3 October 2018. ↑ "Armand V. Fabella, Filipino Economist/Technocrat/Educator, died yesterday". Projnex. 28 November 2008. Archived from the original on 14 July 2011. Retrieved 11 December 2008. ↑ "Gideon Gechtman, 1942-2008". Haaretz . 4 December 2008. Archived from the original on 5 December 2008. Retrieved 3 October 2018. ↑ Forsyth, Roddy (30 November 2008). "Celtic's first black player, Gil Heron, dies". The Daily Telegraph. Retrieved 3 October 2018. ↑ Horan, Michael (28 November 2008). "Ex-Test bat Paul Hibbert dead". Herald Sun. Archived from the original on 6 January 2009. Retrieved 3 October 2018. ↑ Gant, Andrew (6 December 2008). "Local quip-master dies at 84: Cullen Hightower was known for his sayings". Northwest Florida Daily News . Archived from the original on 10 August 2011. Retrieved 3 October 2011. ↑ "Stage actress Patricia Marand dies at 74". Yahoo! News. 28 November 2008. Archived from the original on 22 December 2008. Retrieved 3 October 2018. ↑ Lohr, Steve (28 November 2008). "Andrew J. McKelvey, 74, Builder of Monster.com, Dies". The New York Times. Retrieved 3 October 2018. ↑ "Former National MP Mike Minogue dies". Waikato Times . 28 November 2008. Retrieved 3 October 2018– via Stuff.co.nz. ↑ Song, Jason (29 November 2008). "Verne Orr dies at 92; Air Force secretary during Reagan administration". Los Angeles Times. Retrieved 3 October 2018. ↑ "Pekka Pohjola, 1952-2008". Helsingin Sanomat . 4 December 2008. Archived from the original on 4 December 2008. Retrieved 3 October 2018. ↑ "Former PM V.P. Singh passes away". The Indian Express . 27 November 2008. Archived from the original on 13 January 2009. Retrieved 1 December 2008. ↑ "Andrew Tomasic Sr". The Morning Call . 30 November 2008. Retrieved 3 October 2018– via Legacy.com. ↑ Martin, Douglas (9 December 2008). "Cornelius C. Vermeule III, a Curator of Classical Antiquities, Is Dead at 83". The New York Times. Retrieved 3 October 2018. ↑ Saperstein, Pat (2 December 2008). "Producer Bill Finnegan dies at 80". Variety . Retrieved 3 October 2018. ↑ Waaranperä, Ingegärd (4 December 2008). "En hängiven skådespelare med en unik, underfundig kontakt med publiken". Dagens Nyheter (in Swedish). Retrieved 3 October 2018. ↑ Remington, Alexander F. (9 December 2008). "Joza Karas; Revived Musical Works From Nazi Camps". The Washington Post. Retrieved 3 October 2018. ↑ "Professor Sir Hugh Laddie". The Daily Telegraph. 3 December 2008. Retrieved 3 October 2018. ↑ "Raymond Meyzenq". Cycling Archives. Retrieved 3 October 2018. ↑ "John 'Red' Murff; Scout discovered pitcher Nolan Ryan". The Boston Globe. 4 December 2008. Retrieved 3 October 2018. ↑ de la Fuente, Anna Marie (3 December 2008). "Cartagena Festival's Nieto dies at 92". Variety. Retrieved 3 October 2018. ↑ Cheney, David M. "Bishop Edoardo Ricci". Catholic Hierarchy. Retrieved 3 October 2018. ↑ "Skurjgin ist von uns gegangen". Sport1 (in German). 1 December 2008. Retrieved 3 October 2018. ↑ Keane, Lauren (29 November 2008). "China Abruptly Executes Convicted Spy Wo Weihan; Family Denied a Chance to Say Goodbye". The Washington Post. Retrieved 3 October 2018. ↑ Hodge, Nick (31 December 2008). "Helena Wolinska-Brus: 1919-2008". Krakow Post . Retrieved 3 October 2018. ↑ "Suspected Linden serial killer Zarinsky dead in prison at 68". Courier News . 29 November 2008. Archived from the original on 19 July 2011. Retrieved 3 October 2018. ↑ Grimes, William (1 December 2008). "Bill Drake, 71, Dies; Created a Winning Radio Style". The New York Times. Retrieved 3 October 2018. ↑ "Ulises Dumont: El actor de las cosas nuestras". Clarín (in Spanish). 30 November 2008. Retrieved 3 October 2018. ↑ Overbye, Dennis (9 December 2008). "Arthur R. Kantrowitz, Whose Wide-Ranging Research Had Many Applications, Is Dead at 95". The New York Times. Retrieved 3 October 2018. ↑ "Swedish Academy member Rudholm dies at age 90". International Herald Tribune . 30 November 2008. Archived from the original on 6 December 2008. Retrieved 3 October 2018. ↑ Totaro, Paola (30 November 2008). "Joern Utzon dead". The Sydney Morning Herald. Retrieved 3 October 2018. ↑ Кашинцев, Александр. "Георгий Вьюн". Сборная России по футболу (in Russian). Retrieved 3 October 2018. ↑ "Chess legend Bob Wade dies at 87". ChessBase . 29 November 2008. Retrieved 3 October 2018. ↑ "Béatrix Beck, auteure de "Léon Morin, prêtre", est morte". Le Monde (in French). 30 November 2008. Archived from the original on 1 December 2008. Retrieved 3 October 2018. ↑ Houlihan, Bill (1 December 2008). "Navy's Fourth MCPON Passes Away". Military.com . Archived from the original on 6 June 2011. Retrieved 3 October 2018. ↑ Haines, Catharine (19 December 2008). "Naomi Datta". The Guardian. Retrieved 3 October 2018. ↑ Streitfeld, David (30 November 2008). "Doris Dungey, Prescient Finance Blogger, Dies at 47". The New York Times. Retrieved 3 October 2018. ↑ "Loudness Drummer Munetaka Higuchi Dead at 49". Roadrunner Records. 30 November 2008. Archived from the original on 3 December 2008. Retrieved 3 October 2018. ↑ "Esteemed Marine Biology Pioneer: Ralph A. Lewin". Scripps Institution of Oceanography . 4 December 2008. Retrieved 3 October 2018. ↑ "Pit Martin pronounced dead after snowmobile accident". The Sports Network . Archived from the original on 28 December 2008. Retrieved 3 October 2018. ↑ Saltzman, Jonathan (3 December 2008). "After a life of crime, state's oldest inmate succumbs at 92". The Boston Globe. Retrieved 3 October 2018. ↑ "Lord Rees". The Daily Telegraph. 2 December 2008. Retrieved 3 October 2018.